AirBnb and other short term rental companies are in North Bay Village now. In case you're not familiar with them, these companies broker short term rentals of rooms in private homes or entire homes as an alternative to traditional hotels. In fact, AirBnb has taken its place as the largest providers of lodging in the world, bigger than Marriott and the others. This is not without controversy. In Florida, the legislature passed a pre-emption law in June 0f 2011 that removed the right of municipalities to regulate this activity. Our neighbors, Miami Beach, Surfside, Bal Harbour and North Miami had seen this coming and passed regulations to contain this issue so they are grandfathered in. Here in North Bay Village, Mayor Kreps had taken her seat as commissioner with the single purpose of running the elected mayor off the dais and in the January 2011 Commission meeting, when the then mayor broached the subject, she was shut down by Kreps and crew. So we lost our last chance to regulate this. State Rep David Richardson was there and talked about his efforts in the legislature to repeal or revise the law to give increased local control. The mayor was there as was commissioner Chervony. Village Attorney Bob Switkes was there to explain the legal bind North Bay Village finds itself in due to the lack of commission foresight in 2011. Village Manager Frank Rollason was there to preemptively explain that his hands are tied for some reason. Let's talk about the state legislation. The difficulty is that it will probably not be repealed. 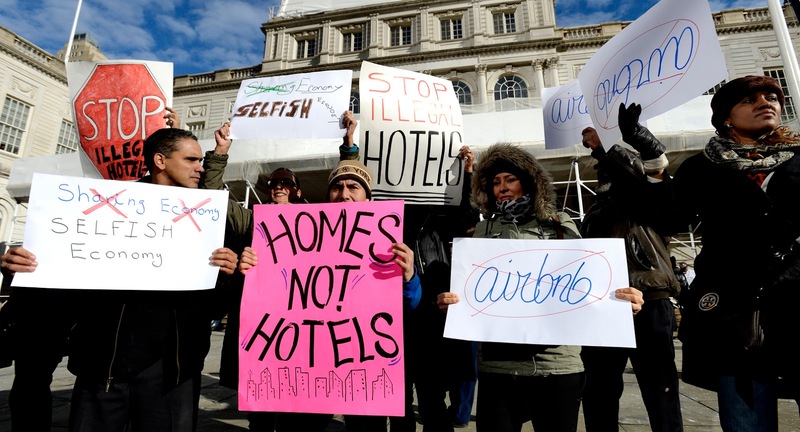 AirBnb is a politically savvy company. 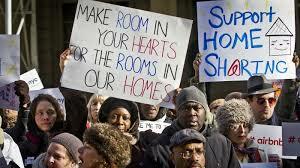 Many AirBnb hosts have saved their homes from foreclosure or themselves from financial difficulties and are easily and well mobilized and there are good arguments to keep the short term rentals legal. Maybe there will be changes but we can't depend on that. On the local level, in North Bay Village, Rootin' Tootin' Straight Shootin' Son Of A Gun Your Village Manager Frank Rollason explained that there was nothing he could do because he works for the Commission and the Commission needs to tell him what to do so there's nothing he can do. Also, the mayor is leading a campaign to fire him so he's not going to help her. But there are things that can be done, today, with no risk and with immediate returns. The Village can compile a list of all the properties in North Bay Village on short term rental sites. Google works. Notify the owners that the Village is aware of the short term rentals and send them a letter reminding them of Village rules regarding noise, commercial transactions, parking (if we ever get any) and other applicable requirements. Each Friday, have the Village leave a "Welcome to North Bay Village" packet at the door of the rentals. It might include restaurant recommendations, services, transportation and the same information about rules and regs that the owner has received. Enforce the ordinances. Put each house on a watch list and between 11:30 PM and 12:30 AM, have the code officer or a police officer measure the noise beyond 150 feet from the house and note any other violations. Ticket the owner. Repeat. If the village would do these simple things, the internet would do what the internet does best - share information. People wanting to rent short term would see reviews that noted that after 11 PM, they got in trouble for parties, or for parking on the lawn, or for charging admission fees. Two things would happen. Thing 1: The houses would become less attractive to prospective party renters and more attractive to families and old people like me who usually shut down well before 11. Thing 2: Repeated violators (the owners) of village regulations could be shut down. Right now, everybody's talking through their hats on the subject. I hope that the residents attending last night are willing to step up and force the issue because the manager surely won't. We'll see.